For many years, the Lake Panache Campers Association has maintained a fire pump at the Penage Bay Marina for use by its members and campers on Lake Panache. 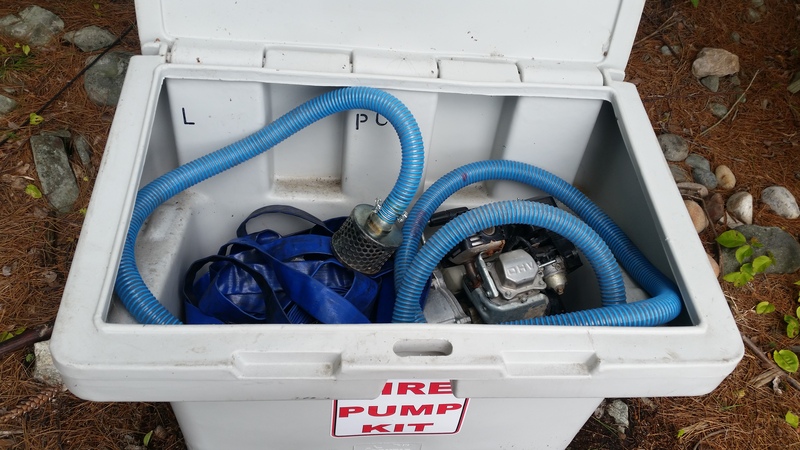 The fire pump kits are assembled in a special container. 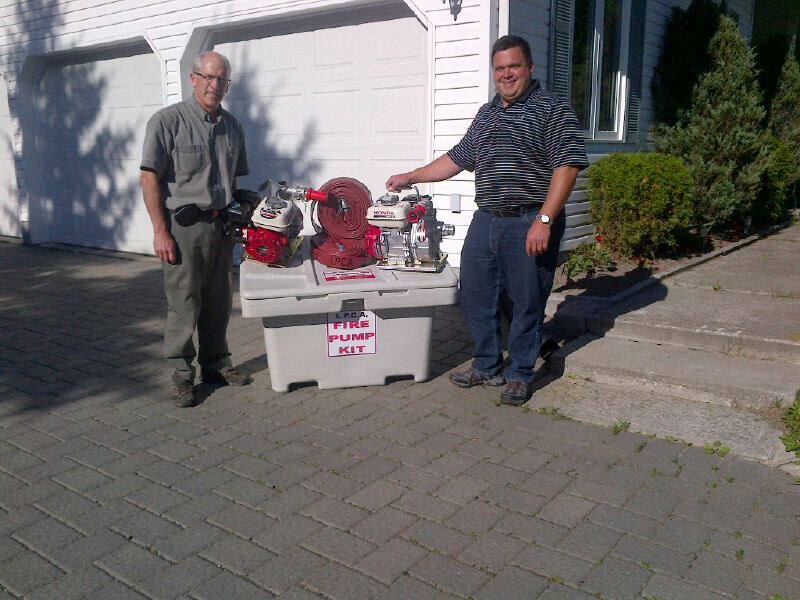 LPCA President Stu Greaves (left) and former City of Greater Sudbury Councillor Jacques Barbeau (right) inspect a fire pump kit. The fire pump kits are currently positioned in the following locations (with more locations to be added) and are available for use by residents of Lake Panache. If you use one of the fire pumps, please ensure that it is returned to its original location with all components. 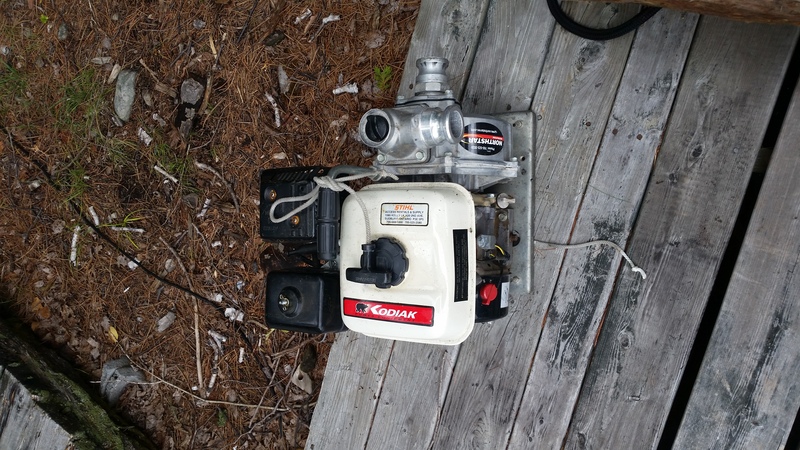 Please advise the Association at info@lakepanachecampers.com if you have used one of the pumps so that we may ensure that it is properly serviced and ready for future use. 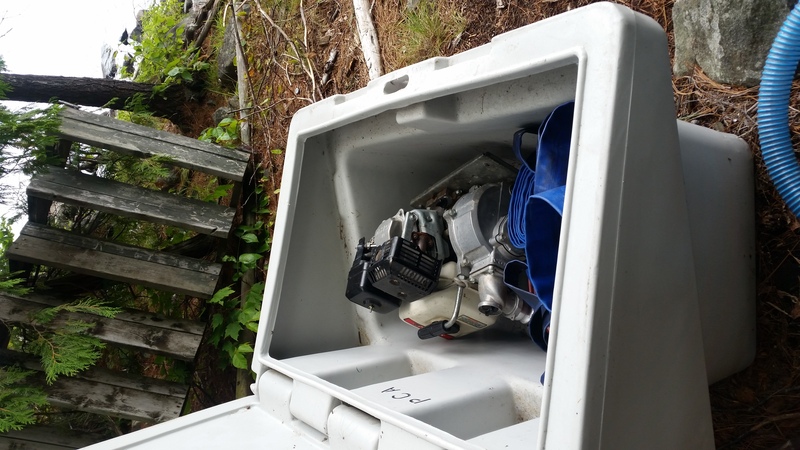 Here's how not to return one of the pumps. 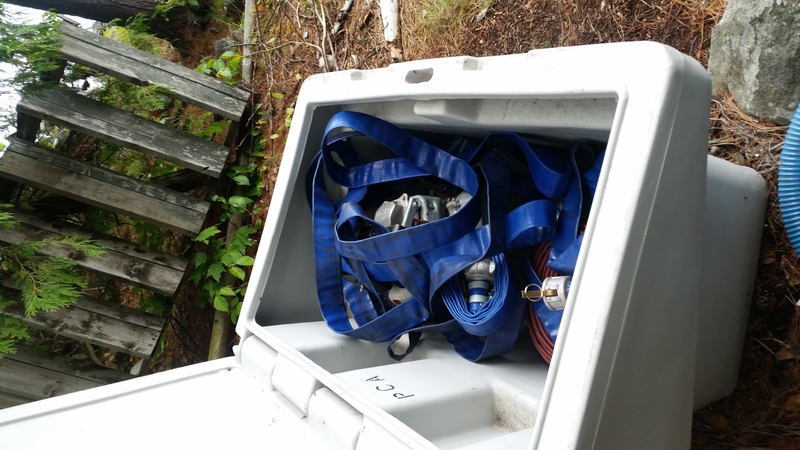 If you are interested in purchasing a fire pump and having it located at your camp, please contact us at info@lakepanachecampers.com and we will contact you with more information.